Ben Okri gave today’s BBC’s Radio 4 Appeal … on behalf of Book Aid International – which seemed an appropriate adjunct in remembering our mothers and all those who love and guide us through life … I know my parents would have supported Book Aid – we always had books around. Let’s donate a book a week, or a month via Book Aid International, to give those in dire need and peril some hope that their imaginative minds can latch onto – which as likely as not will give them a brighter future, and one which we too will benefit from. 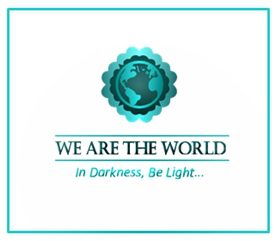 I know we will give when and where we can … thank you! Thanks for sharing the details about Book Aid International, Hilary. It's certainly a worthy cause and I'll pass the word along, as well as chip in. Cheers! Mother's Day is any day. I lost my mom back in 1992 and she's in my heart every day. And books. So key to everything. My mother also gave me my love of books and never said no when asked to go to the library. Once again, I've learned something new. This time the origins of Mothering Sunday. And it seems that this is quite distinct from Mother's Day, although the two seem to have become one and the same in practice. Books are holy icons to me, Hilary. I am not sure whether Book Aid International is active here, but in effect we do something similar by amassing books for recently arrived refugees and immigrants to assist in their transition to Canadian life, and to help them to perfect their fledgling language skills. A computer, or a tablet will never replace a real book for me. I love the feel of them, the musty smell of old books, the illustrations skilfully rendered on different kinds of paper, beautiful bindings, dust jackets - everything about them. Surely one of the greatest pleasures in the world is to spend an hour or two (or three) in a second hand bookstore and to come out with a treasure. Pretty soon we will have no more space for books; we will have to start throwing out the furniture! We never really celebrated Mother's or father's day when I was growing up, think it all came around when I was quite a lot older. I lost my mother in 2002 and if Only I could have her back for one day we would celebrate Mother's day together with lots of laughter. The best friend I ever had, and the mischief we got up to together in my later years, we were always giggling. I could not live without books and I need an extra room to turn into a library. Book Aid International is a cause dear to my heart. Thank you. We never celebrated Mothers' or Fathers' Days. My parents said that one day couldn't make up for a year's neglect. Sorry to hear you're missing your Mom on Mother's Day for a few years now, but if it helps, many thanks for posting this, because with only 2 hours before the end of Mother's Day I was able to send her a note and not be too much of a terrible son for not calling her at a more reasonable time!! Book Aid International - great cause. My sister has been visiting this weekend so mum has both her daughters with her on Mothers’ Day for the first time in years. My beloved mum passed away in 2015, and I still mourn her loss daily.. whenever there is something important I want to discuss. She was a professional journalist, so I kept all her amazing books after she passed. When I retired in Dec 2018, the first thing I cleared out was my library, keeping 200 books that I still need and piling up 2000 on the dining room table to deal with... eventually. Do you have an address for BookAid International that I could send the books to? Or do they prefer money to buy their own books? It sounds like a wonderful charity, must check it out! My mother used to love going to the library, but it’s hard to get her out of the house these days, or further than the park, anyway. She does still have books. @ Jz - oh excellent ... I see they've got donate new books, and what to do with second hand books ... But so pleased you already support them and will do more. @ David - interestingly they have just sponsored one young lady who has won a scholarship to Canada ... and are continuing to support her with the books she needs for her studies. It's excellent you're doing your part - and your love of books shines through with your particular interest in nature. I agree - I love looking at books, any illustrations or pictures ... different papers, bindings, dust jacket - yes everything about books. I agree 2nd hand stores are a fusty delight to browse in. I did donate a few books before I went to Canada, more when I was there before I returned, and now ... I already have too many - but that's not possible. Keep two comfy chairs!! I know - I most definitely could not live without books. I suspect many of us would love a library! @ Anabel - oh how wonderful your mother has both her daughters with her ... it'll be a special day for many years to come - happy memories for you all. Book Aid - I'm sure as a librarian you'd know about their cause ... they are doing wonders. @ Hels - losing one's mother is so difficult isn't it ... I know I mentally talk away happily. Wonderful to have a journalist as a mother ... no wonder you know so much. Retiring can be really helpful - giving us a chance to clear things out and have a good tidy up. Gosh - lots of books waiting to be donated. @ Sue - yes please ... remember Book Aid as a place to donate so they can support all peoples with new books. Thanks for sharing about Book Aid. I'd never heard of it. A good cause with hopefully good results... I didn't know about "Mothering Sunday." What a lovely tradition. Do you think that might be how "Mother's Day" started? Call me old fashioned, but I really don't like the term Mother's Day being applied to Mothering Sunday. This year I found it harder than ever to find a suitable card to give to my Mother. As for book aid - a brilliant and worthy cause. Thanks for participating in WATWB and for sharing this good news. I like the idea of Book Aid, a lot. Great info on Book Aid, Hilary, thanks! I remember a tradition in our church growing up where women would wear a white rose if their mother was deceased or a red one if she was living (for Mother's Day). Lots of traditions with moms and flowers! I am such a believer in the power of books. 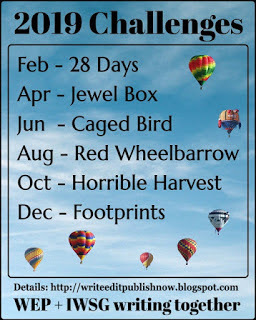 This is an excellent #WATWB for April. And Mothering Day--is that America's Mother's Day? Or different? Love your posts, Hilary. "Mothering Sunday" is a new concept to me Hilary - so interesting. I love the Book Aid International project. Books are hugely important in my mind, and accessibility for all is one of things I think we should all be working towards. Thanks for sharing this! That is an amazing organization. Books do offer hope and moments of escape. One of the writing groups I belong to donates to long term health care facilities and prisons. Oh, so that's what all those posts about Mother's Day on Twitter were about yesterday. I was kind of lost. Hope you've had a great Sunday, Hilary. Didn't know about the origin of Mothering Sunday. You do come up with some interesting little tid bits Hilary. Book International seems like a wonderful organisation. I hadn't heard of it before. Hi, Hilary - Thank you for sharing Book Aid International with us. I agree that this is a very worthy cause. I look forward to reading more about this. @ Lisa – Book Aid International is a charity I hadn’t come across … so was interested to see their approach. Mothering Sunday is tied in to the Christian calendar … so predates American secular thinking. 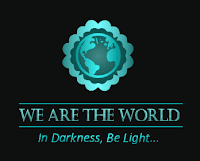 Our traditions and early beliefs tend to get swept up by the American choices – such is the way of the world. 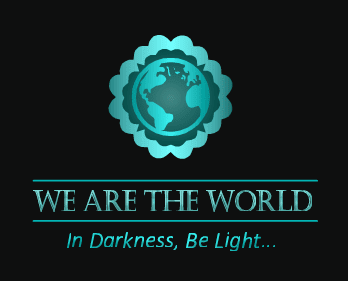 @ Dan – so pleased I joined in with #WAWTB … there’s a lot to post about – but I just wanted something ‘quiet’ after the horror of Christchurch. Book Aid’s approach to sending out new books from publishers makes sense – an up-to-date clean copy for the recipient/s … I thought the Nursing one for the disaster areas was just brilliant. @ Elizabeth – yes Book Aid is excellent and I was so pleased I heard Ben Okri’s Radio 4 appeal. Interesting to learn about your tradition for women to wear a white rose, should their mother have recently died; or a red one, if still living, for the American secular Mother’s Day. Yes lots of traditions utilising flowers … I love learning about them. The next reply will be about the Mothering Sunday and Mother's Day ... I hope to clarify somewhat! @ Jacqui – the power of books just draws me in … I need to spend lots of time reading! Mother’s Day in the States is a secular holiday … whereas the British one is a moveable feast tied in with the early Christian liturgical calendar … which relies on the solar calendar for the date to be determined. It’s a complicated (well for me!) subject to understand …the date for Easter Sunday will vary by 35 days since it depends partly on the phase of the moon and must be computed each year. @ Debby – that’s great you’ll be looking into Book Aid. I always enjoy Mothering Sunday … as there’s plenty of youngsters around who need extra mothers! Book Aid International sends over one million carefully selected brand new books to refugee camps, schools. A fantastic initiative! 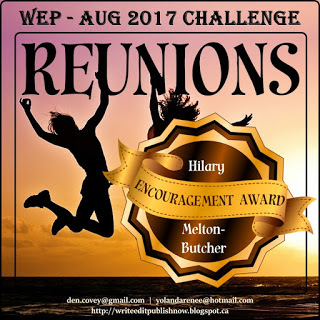 Thanks for your support to WATWB, Hilary! Thanks for sharing about Book Aid International. I had not heard of them. Sounds like a good organization. Thanks for the info on Mother's Day in your corner of the world. I had wondered about it. @ Damyanti - Yes ... I noted that the books are all brand new and up to date - a recent recipient has gone on a scholarship to Canada to complete her degree - with the help of Book Aid. @ Val - that's great ... you being in education, especially of refugees and foreign language speakers of the English language, even though you work in the Netherlands - Book Aid would touch your heart. Ben Okri has just a wonderful way about him ... I love his voice and method of delivery - I'd love to hear him live. @ Trisha - yes our liturgical Mothering Sunday always set by the Church - but it's always interesting to learn. Thanks so much to everyone for your kind words about Book Aid International - and for sharing the appeal! I'm Emma - the chartiy's Head of Communications. We're hoping to raise enough to send 15,000 books to more refugees through our Radio 4 appeal - and if anyone was willing to share the link where people can listen and donate we would be so grateful (or even donate - just £2 sends a book)! You can find out more here: https://bookaid.org/r4/. If you have any questions at all please don't hesitate to just drop me a line - emma.taylor@bookaid.org. I would be happy to hear from you! I remember picking yellow dandelions for my mom. She always said they were beautiful and put them in a cup water on the kitchen table. She left us in 2006. I'm not familiar with Book Aid but I always give our used books to a local group who passes them on to the less fortunate. Moms influence us so much whether go or bad. When we have a good one, it's super hard to let them go. I've always been a mama's girl. Books are so important to me. I have more than I'll ever read. I think our American Mother's Day is one of the national holidays proposed by President Roosevelt. Like 4th of July, Fathers Day, Valentines Day; of course all American Holidays are commercial gimmicks to force people to BUY BUY BUY. The sentiment just makes a person feel guilty if they are broke, or just plain unwilling to be forced to buy a gift. Eh, don't mind my cynicism. I do like the idea of Mothering Day. I'm not religious, but it sounds like a sweet way to reaffirm faith. Book Aid is a cause I can support. Thanks for the tip. Wow, that's really amazing. Is a "mother church" where someone is baptized or is it just whatever church one first attended or the church of the town where someone was born? I mean, some towns have more than one church, right? Is it still more religious than commercial? Hilary, it's great to hear of somewhere to donate books. Why should something so simple be so difficult? Hi Hilary, Ben Okri was interviewed here recently for a podcast called Better Reading. He was very good on the podcast, as is this cause. I've never heard of mothering day but it sounds nice. Always something new to learn about on your blog. :) Good thing we dong have that where I am in the US, there's not a single flower to be found yet. The last of our snow finally melted a few days ago. We'll have to wait for Easter to see flowers here. @ LD – yes I’m sure I picked dandelions … but definitely remembering offering my parents manure cakes with worms! Mothers and memories will always be special … sadly they will almost always go before us. I only heard about Book Aid and the way they provide recently published educative books/guides to learning this last weekend – but thought it worthwhile highlighting in our monthly #WAWTB. @ Teresa – yes Moms influence us throughout our lives – even when they’ve gone … we’ll always remember them. @ Donna – you could well be right re Roosevelt – but I can find no immediate confirmation of that … just that Anna Jarvis thought it was a good idea in the very early 1900s … and then regretted the commercialisation of it. Ours is probably almost forgotten now in its origins – but I expect some families will go for small bunches of fresh flowers … rather than too much commercial stuff – but suspect the retail shelves will still coerce them to buy. @ JL – “mother church” locally … is the local church around the community – be it Anglican (my denomination), Catholic, Baptist, etc (possibly here in Eastbourne over 15 different main denominations) … but referring to the very early settlements – which could be over 1,000 years old – hence ‘mother church’ … which would be the first Christian churches in each settlement. @ Denise – I know … they hope for cash donations so they can buy more new recently published books, which can help refugee/impoverished students learn and improve their knowledge. 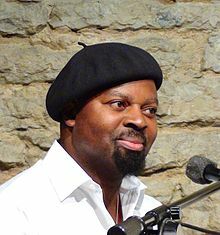 @ Simon – Ben Okri certainly seems to be getting around … I do hear about him quite often – he’s an engaging chap, as well as being a great advocate for literature of all sorts. @ Jean – Mothering Sunday – a gentle religious festival … especially in those days of yore. Maybe that’s why Anna Jarvis moved the American one to May … it’d make sense – at least you’d have flowers across the country. I gather the later snow has given some of you a nasty shock this year … I’m glad I’m back here in little old England – for all its woes! Interesting background on Mothering Sunday. Books are the greatest gifts in the world. This is certainly an organization that is doing an amazing job of getting books into the hands of those who need them. You're wonderful to feature them here on your blog, bringing attention to them. I love the idea of "gone a-mothering.” We should have more days that give us time to pick wildflowers and appreciate those we love. I've never heard of Mothering Sunday, but it sounds like a very nice tradition. I lost my mother in 2014 and truly miss her. Not a day goes by when I don't think of her. I never knew that Mothering Sunday wasn't originally about mothers per se. I do believe that books can change lives and so this is a great cause to support. I hadn't heard the term 'Mothering Sunday.' I am thinking of my mom and how she is far away and getting up there in age. I may ask her if she wants to come stay with us, but I don't want her to feel pressured to do so (she is always so busy and has so many friends where she is). We shall see how it goes. I lost my mother in August of 2018. My emptiness continues, Hilary. It will never be filled. Good Mothers are so needed in today's society. I was blessed to have a short essay of my mother's sage advice in the recent Chicken Soup for the Soul edition: Mom Knows Best released in March 2019. I wish she were around to see it. All my best to you, Hilary. Thanks for another great post. @ Lee - I'm pleased I looked into Ben Okri's appeal on BBC Radio 4 - as I hadn't come across the organisation that obviously looks to the future for students who need up to date books for their studies. @ Marja - it looks like NZ as with other countries have adopted Mother's Day after the American introduction in the early 20th century - while I'm sure Mothering Sunday as part of the liturgical calendar is still honoured. Books and being able to read and study really do change people's lives ... so true. @ Victoria - I am so sorry it was so recent you lost your mother ... and I can imagine the emptiness you hold. You're right mothers who help their own and others are so worthwhile. Books do indeed give you hope for a brighter future. I hadn't heard of Mothering Sunday, before. Learnt something new. Also, thank you for introducing me to Book Aid International. What a nice wonderful way to spread cheer. Books are a wonderful window to the world, and perhaps the best gift to someone. I shall check out the link. Well, Happy Belated Mothering Sunday! Nice memories of your own mum...so nice! Our Mother's Day isn't until May. I'm not much of a reader myself but my husband sure is and is also on our local library's board. So important to keep books available to everyone. Nice cause you are promoting there! @ Ro ... yes - we are lucky aren't we that our parents read to us and encouraged our learning. I too can't imagine not having books around. Book Aid International seems to be a wonderful resource for those who desperately need to study and keep up to date - with no access to libraries or books in general. @ Pradeep - good to see you ... and am glad this Mothering Sunday post lets you know about our Church's traditions. @ Betsy - yes as you mention your secular American Mother's Day is in May. Excellent to know your husband is a great reader and sits on your local library's board ... must be so interesting for him. Books are so essential to promote ... I can't do without them.